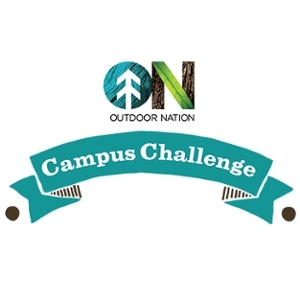 Southern Illinois University Edwardsville is one of 90 universities nationwide, and the only in Illinois and Missouri, chosen to participate in the 2016 Outdoor Nation Campus Challenge. The challenge is coordinated by Campus Recreation, and gives SIUE students, faculty, staff and surrounding community members an exciting opportunity to earn points for completing certain activities, win prizes and enjoy healthy activity. Activities range from biking, outdoor climbing and adventure racing, such as color runs and tough mudder competitions, to restoration and trail maintenance, stargazing, yoga and geocaching. Outdoor Nation anticipates approximately 35,000 participants nationwide. Pre-registration begins Monday, Aug. 22. The challenge runs Sunday, Sept. 4-Saturday, Oct. 15. Campus Recreation will host special events as part of the challenge, such as geocaching each Friday, a guided bike ride to Annie’s Custard and stand-up paddleboard yoga through a collaboration with a St. Louis company. “SIUE, the City of Edwardsville and Madison County have tremendous outdoor recreational opportunities,” said Keith Becherer, director of Campus Recreation. “This engaging challenge appeals to a wide range of individuals. Participants will be entered to win giveaways throughout the challenge, including items from such sponsors as REI and The North Face. Three grand prize winners will be named Campus Challenge National Champion, Most Outdoorsy Person and Outsider of the Year. Interested students, faculty, staff and community members can register for a free account beginning Monday, Aug. 22 at Oncampuschallenge.com or through the free mobile app.